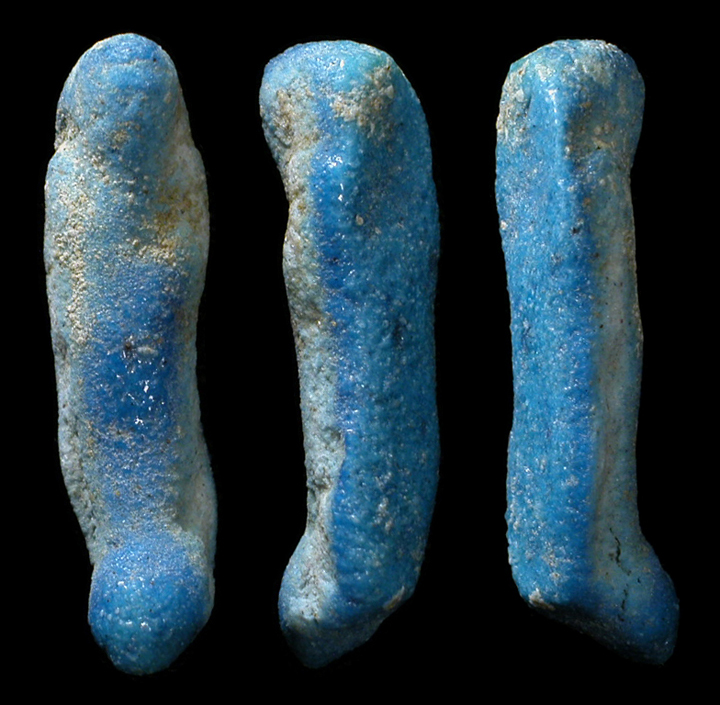 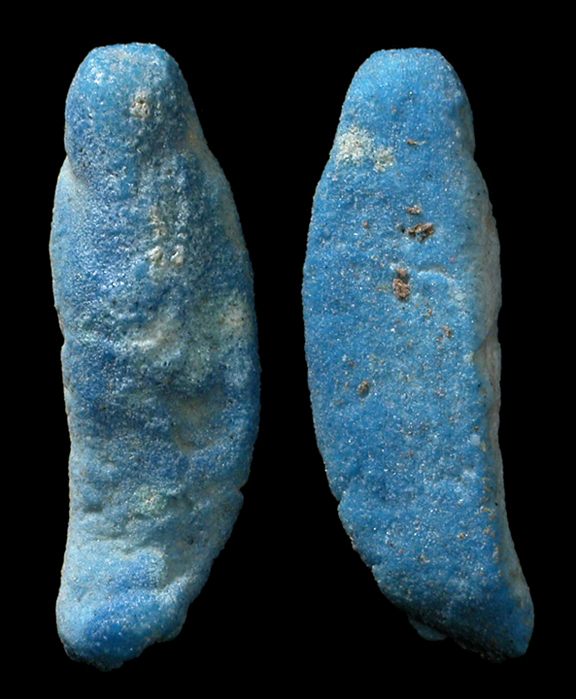 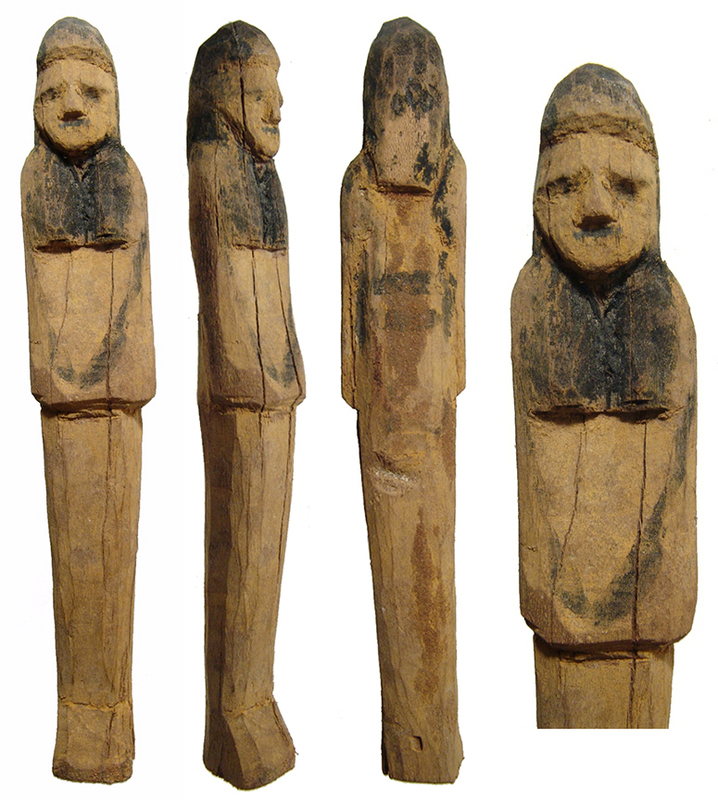 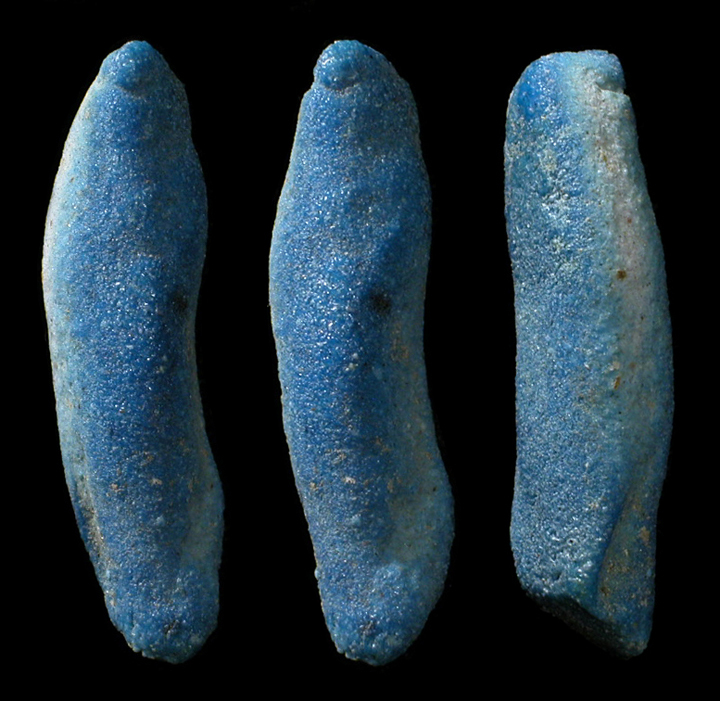 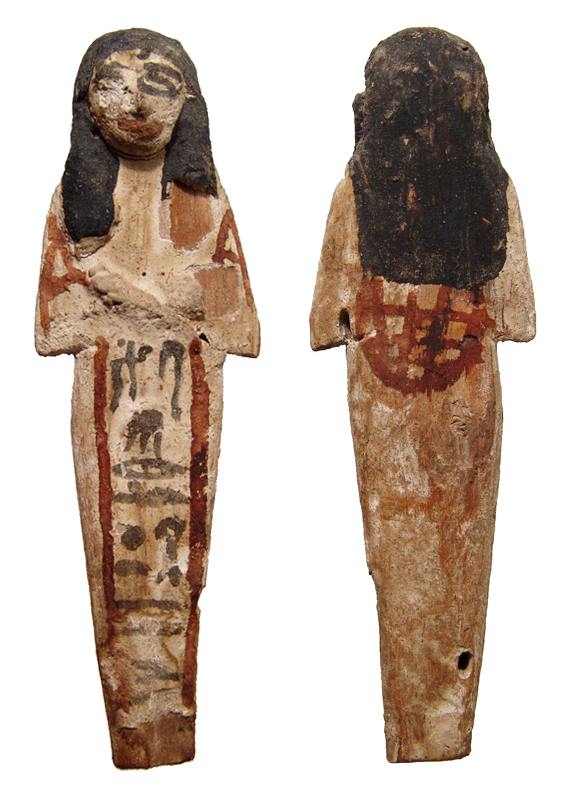 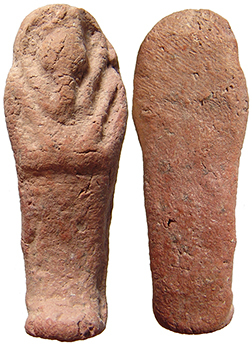 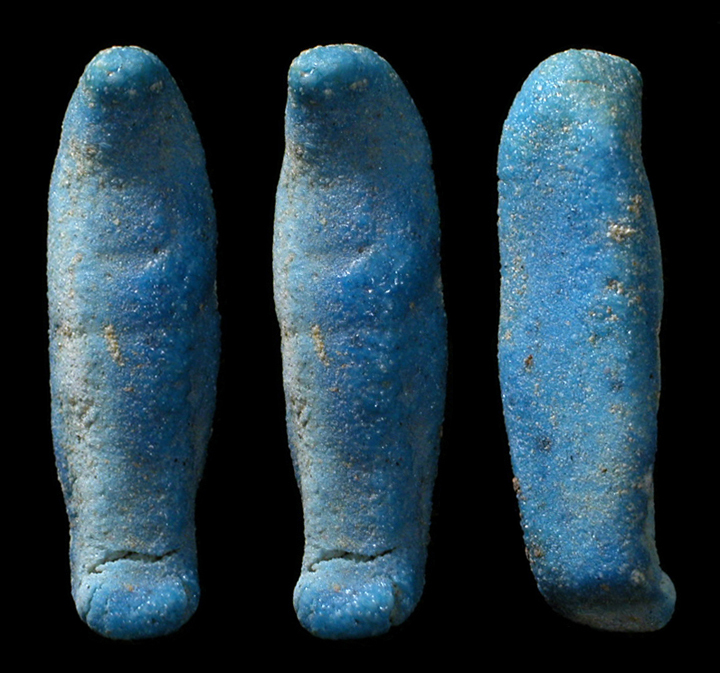 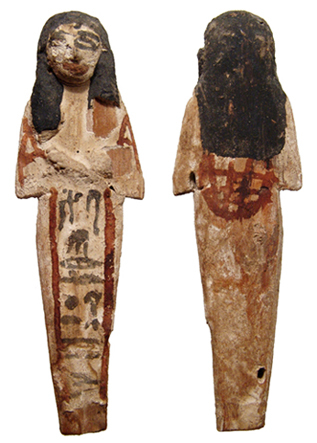 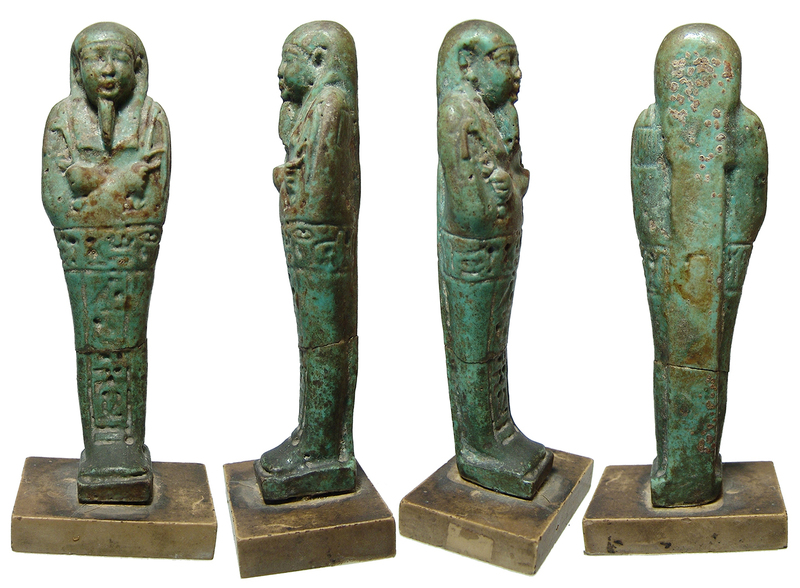 Burial figures left in the tomb of the dead to serve as servants in the afterlife. 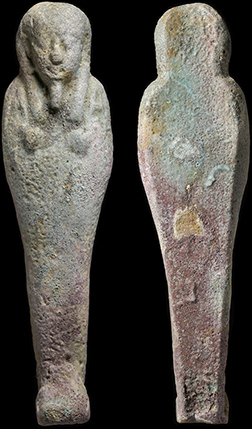 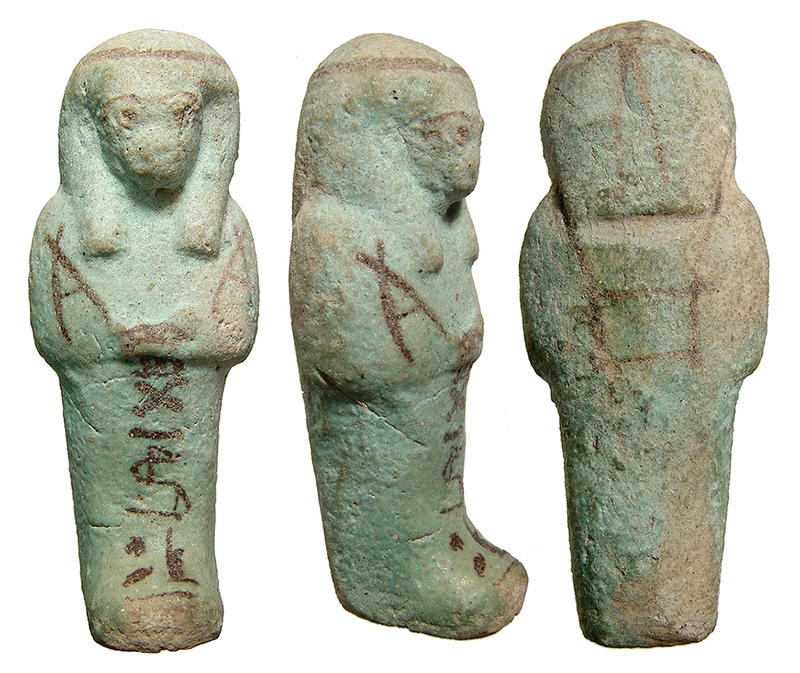 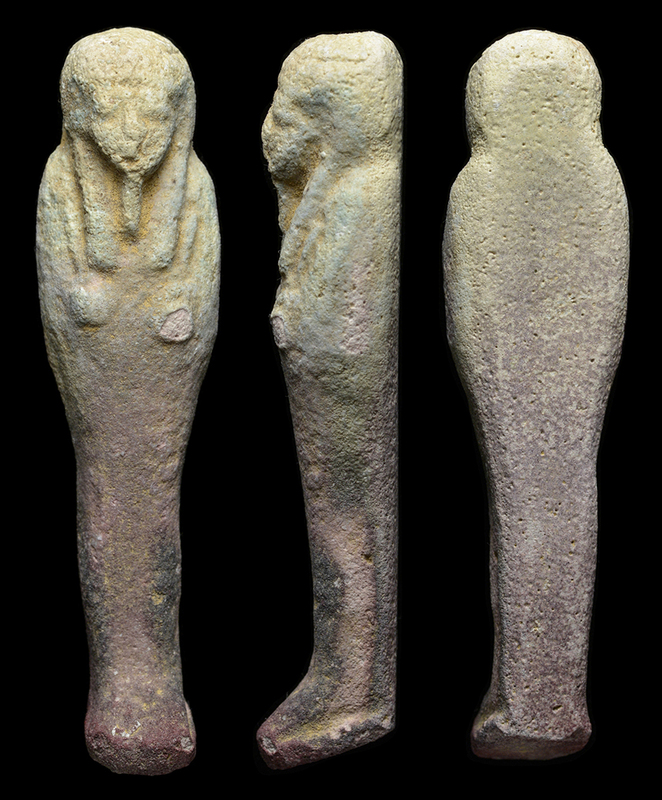 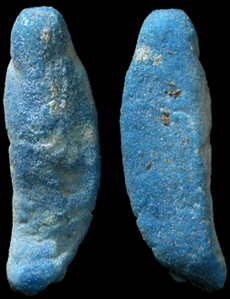 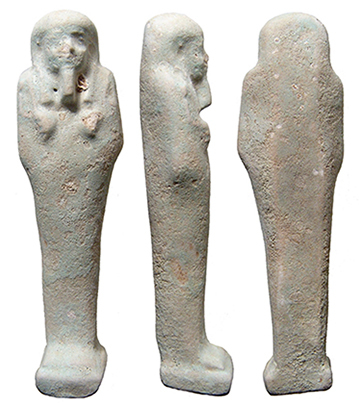 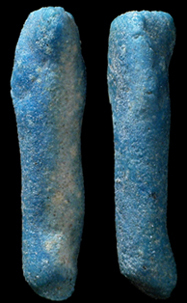 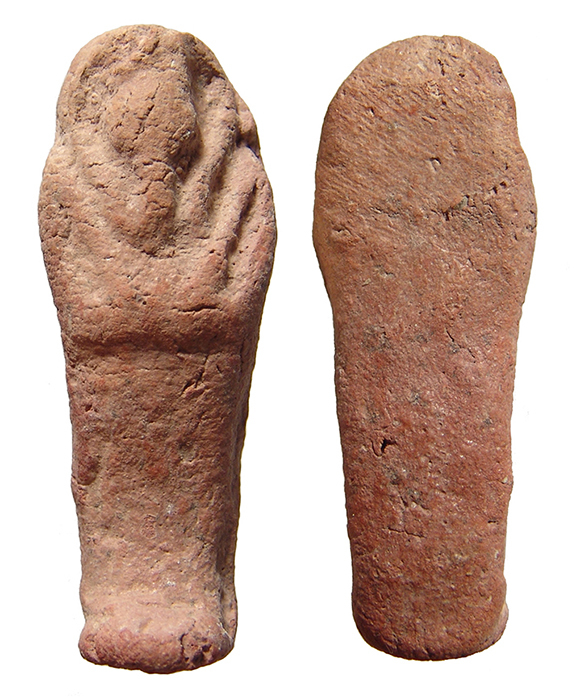 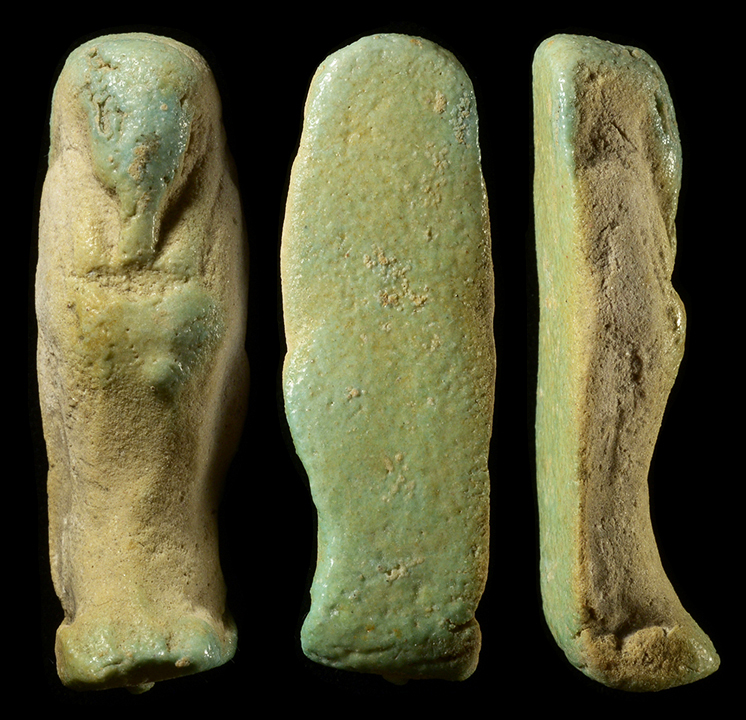 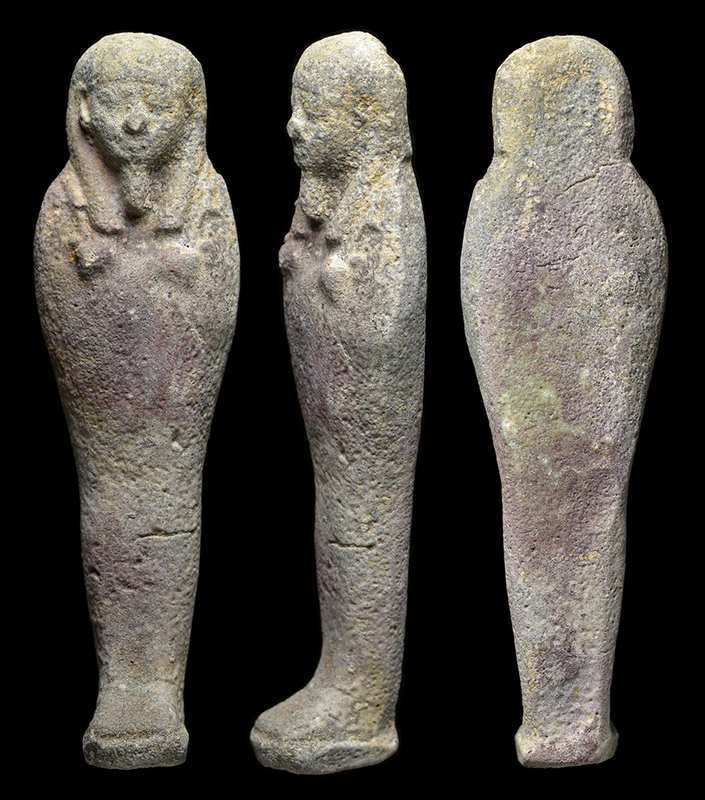 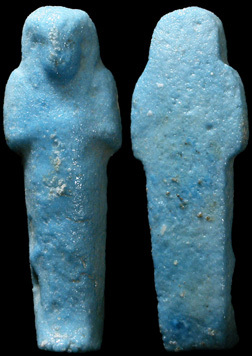 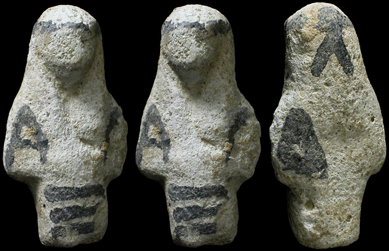 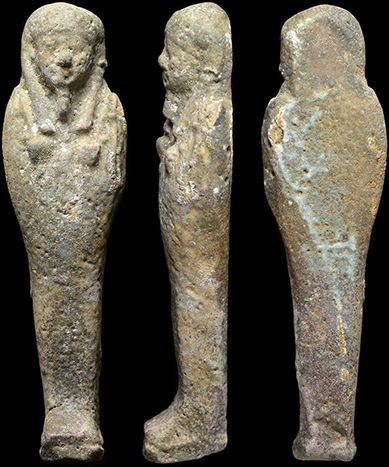 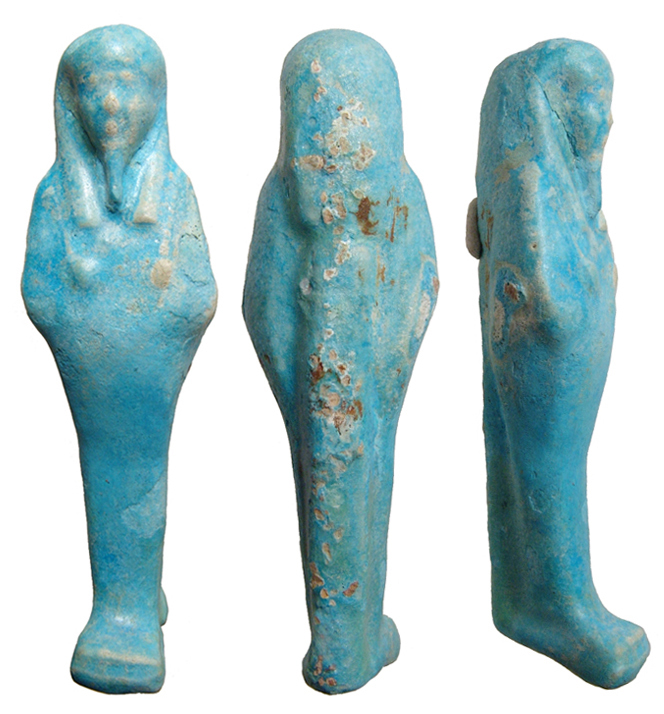 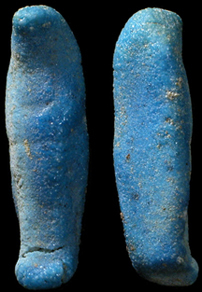 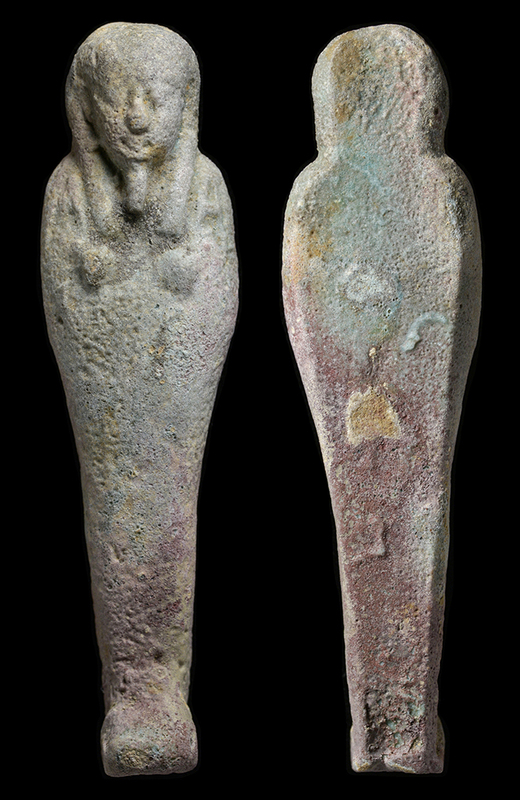 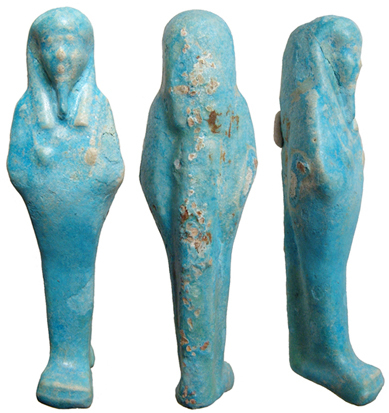 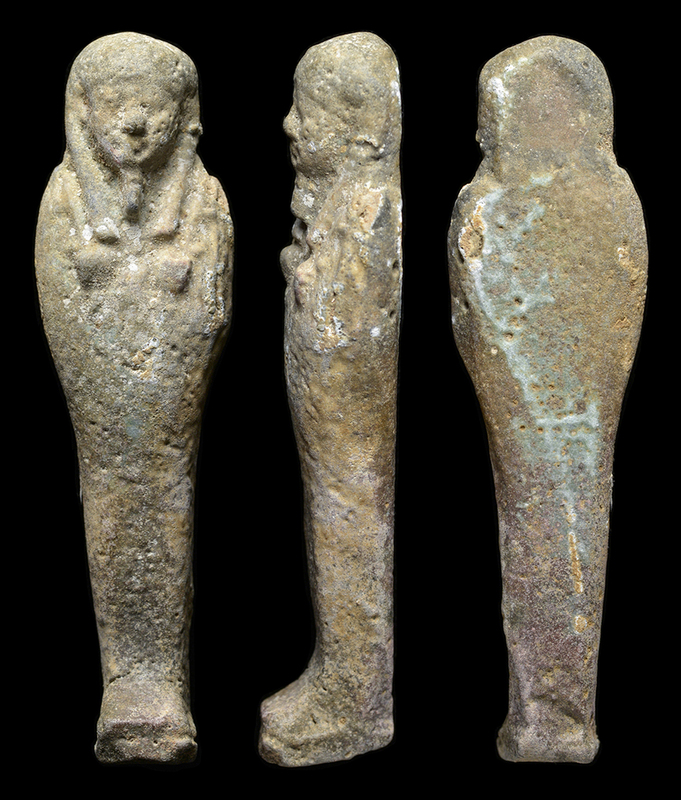 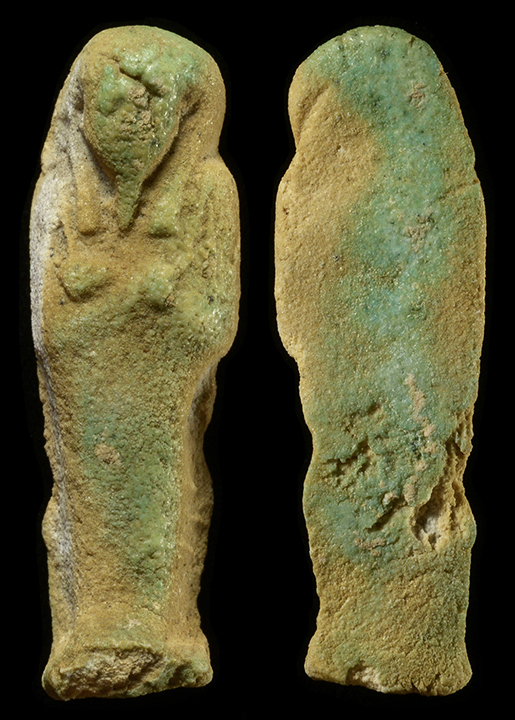 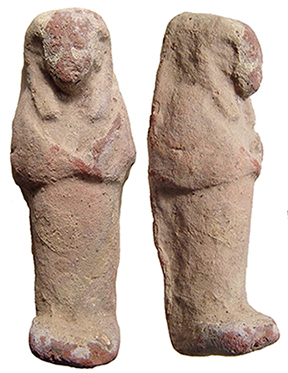 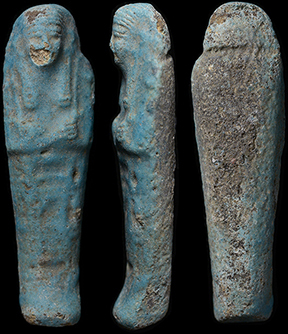 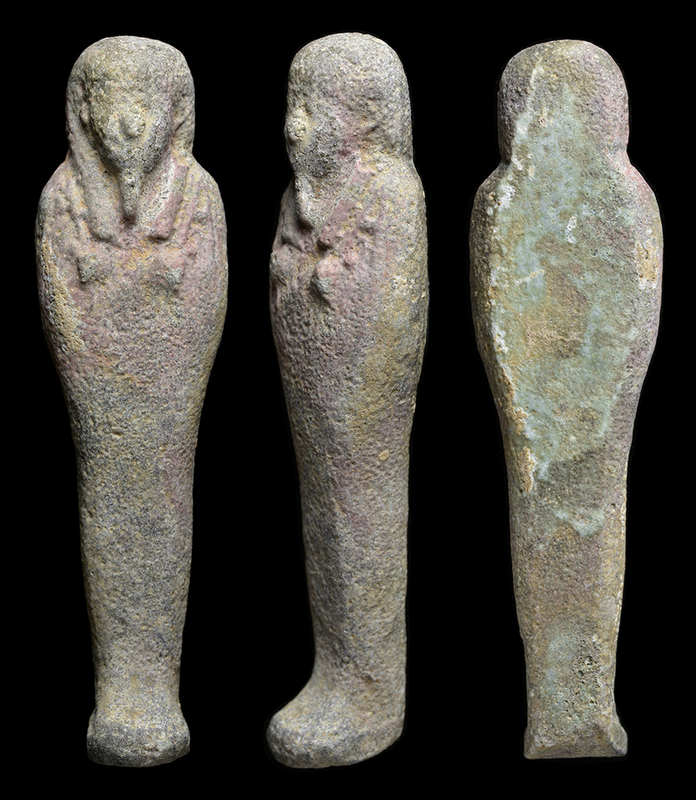 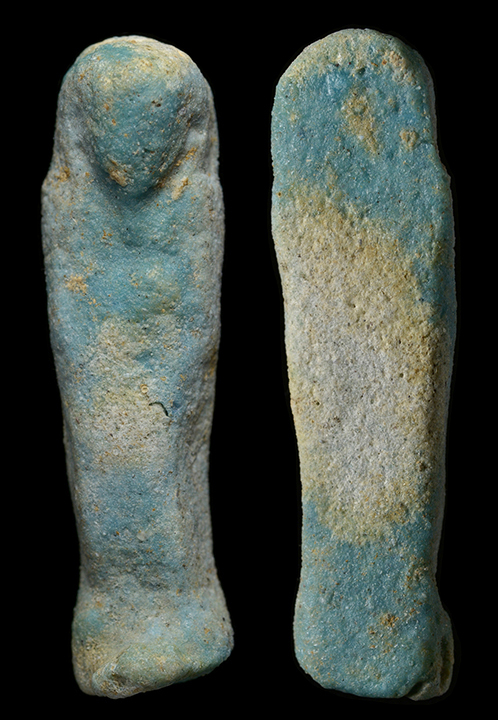 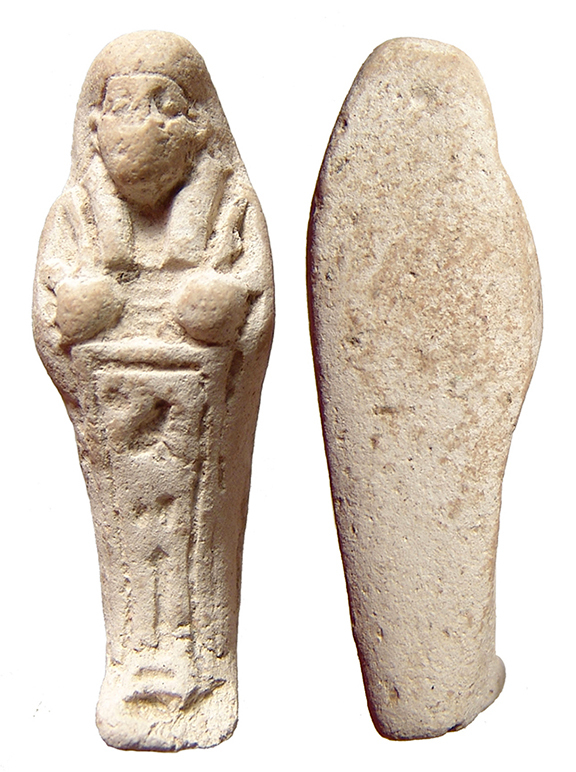 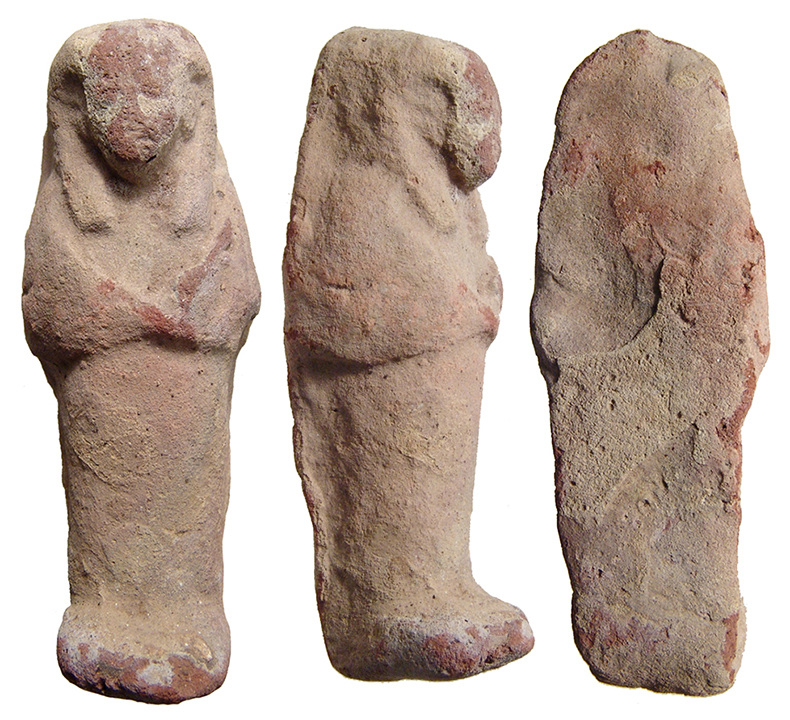 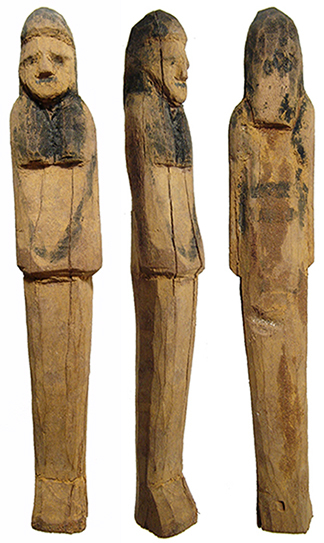 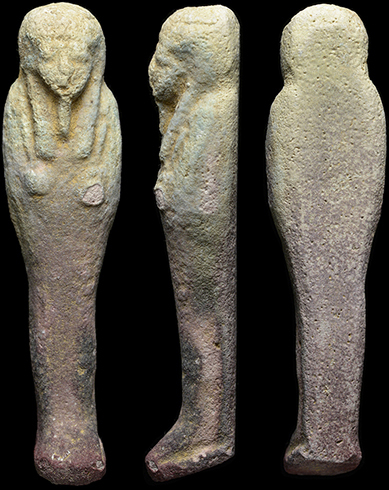 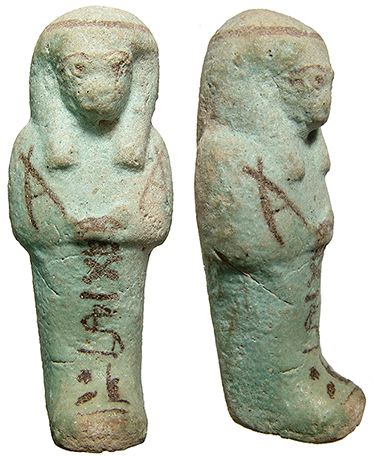 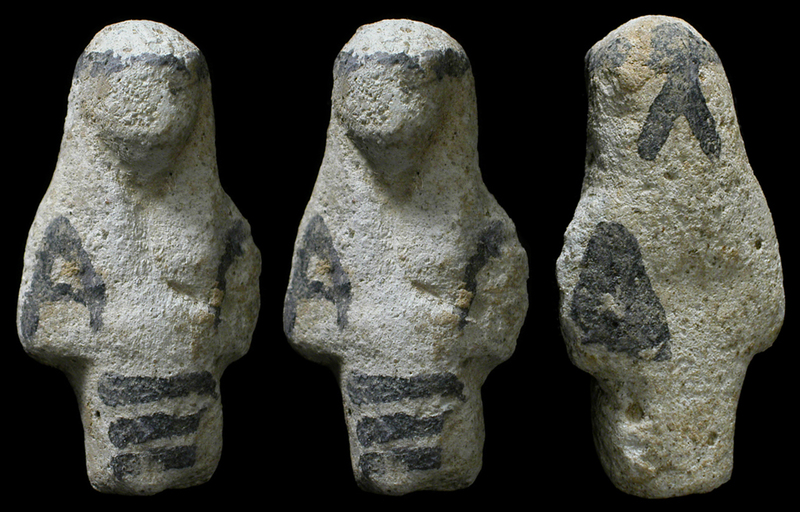 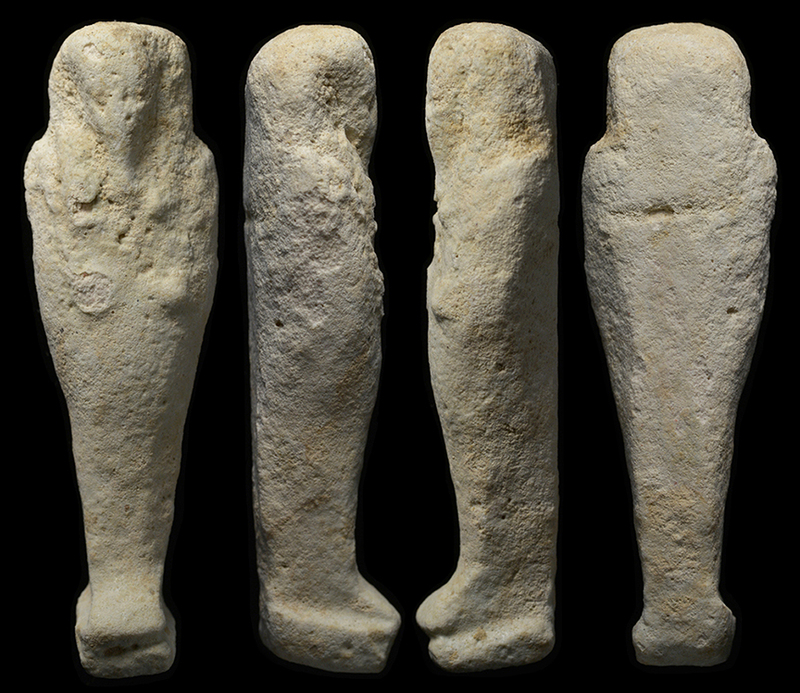 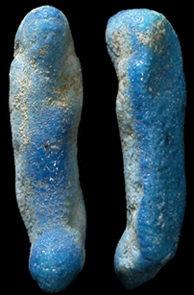 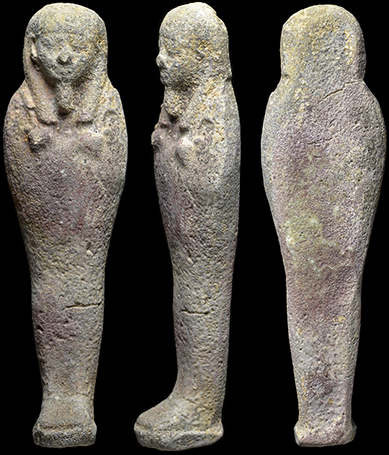 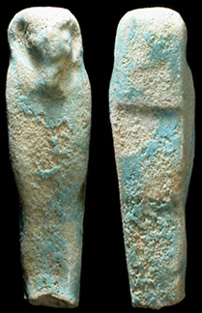 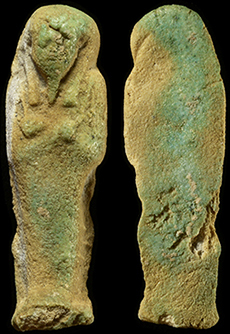 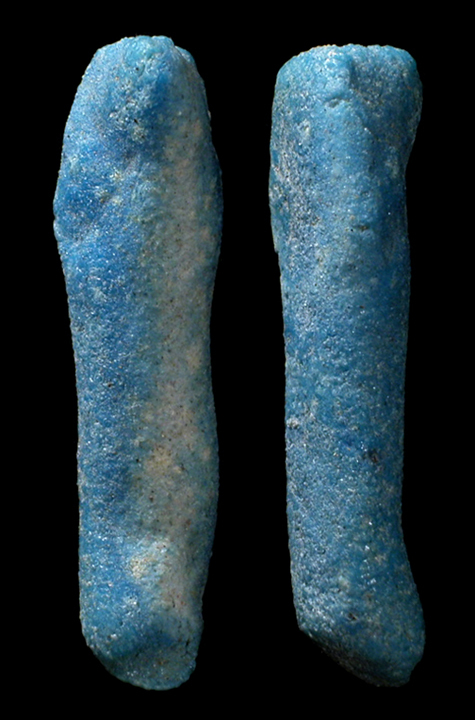 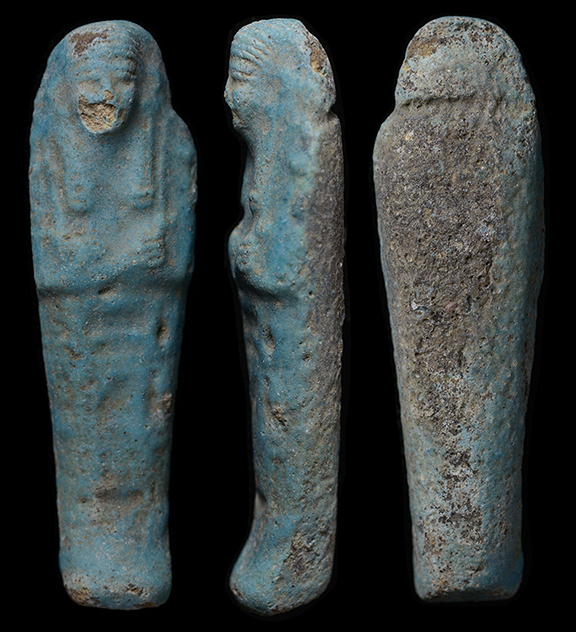 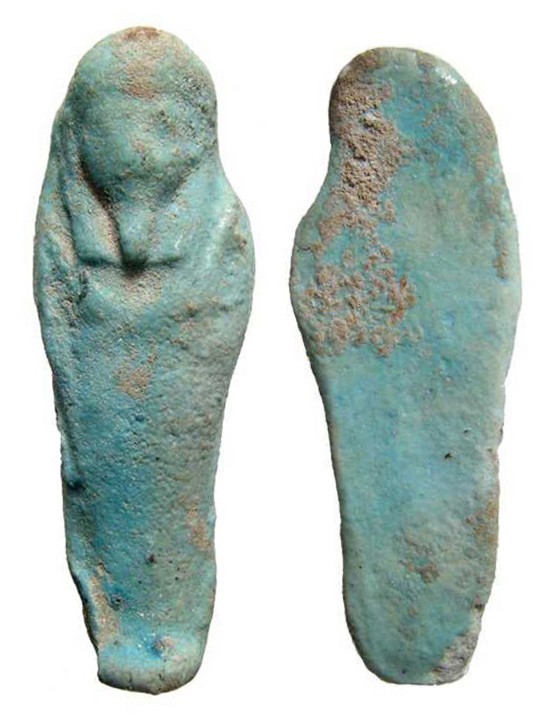 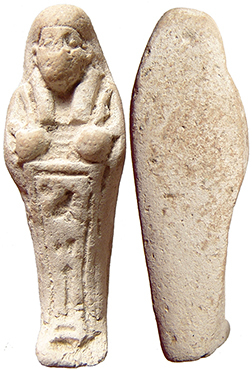 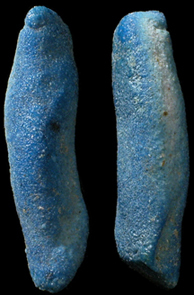 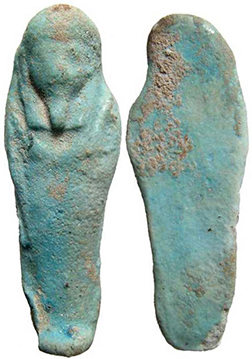 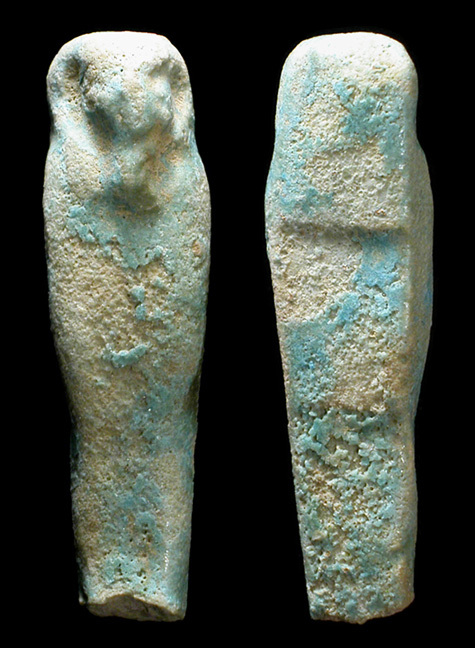 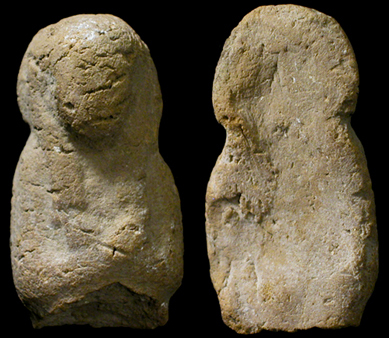 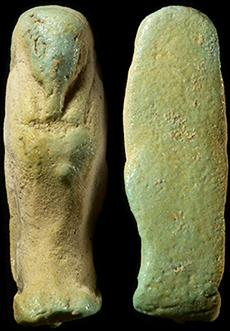 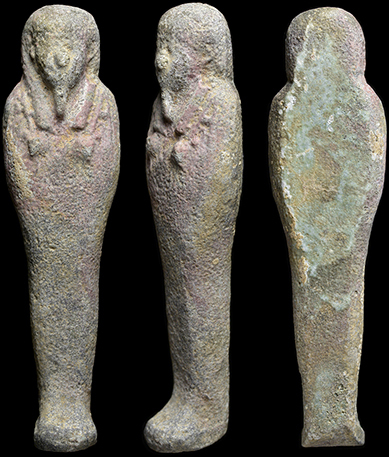 The Ushabti Spell: "Illumine the Osiris I, whose word is truth. 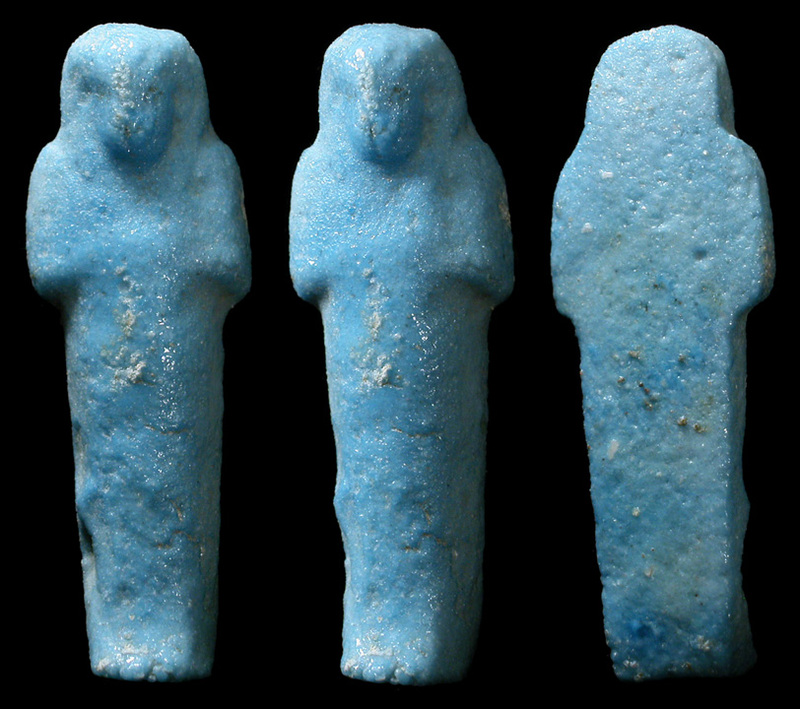 Hail, Shabti. 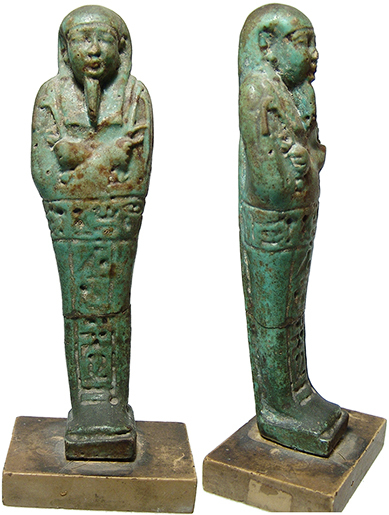 If the Osiris I be decreed to do any of the work which is to be done in the Khert-Neter (i.e. 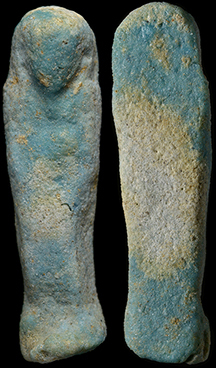 the cemetery), let everything which standeth in the way be removed from him – whether it be to plough the fields, or to fill the channels with water, or to carry sand from (the East to the West). 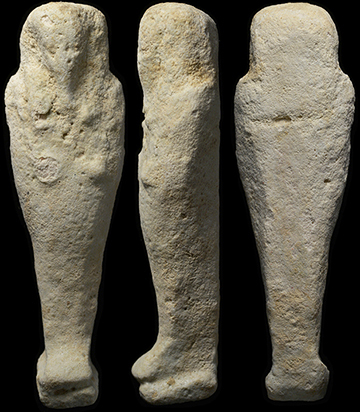 'Here am I', you shall say, 'I shall do it.'"